TreeBagger bags an ensemble of decision trees for either classification or regression. Bagging stands for bootstrap aggregation. Every tree in the ensemble is grown on an independently drawn bootstrap replica of input data. Observations not included in this replica are "out of bag" for this tree. 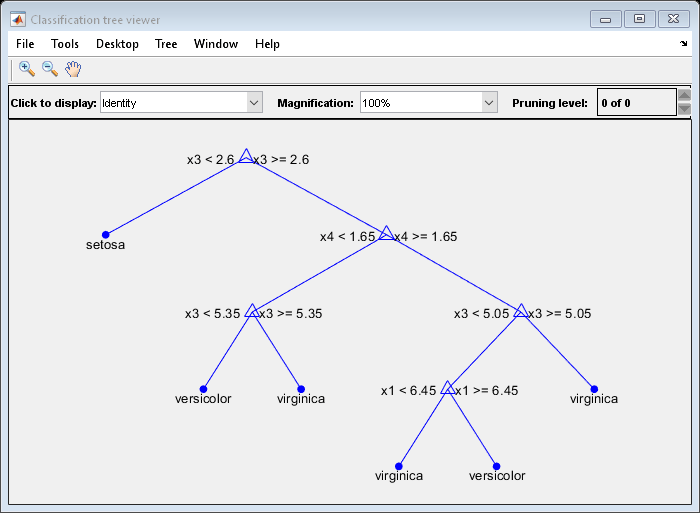 TreeBagger relies on the ClassificationTree and RegressionTree functionality for growing individual trees. In particular, ClassificationTree and RegressionTree accepts the number of features selected at random for each decision split as an optional input argument. That is, TreeBagger implements the random forest algorithm . For regression problems, TreeBagger supports mean and quantile regression (that is, quantile regression forest ). To predict mean responses or estimate the mean-squared error given data, pass a TreeBagger model and the data to predict or error, respectively. To perform similar operations for out-of-bag observations, use oobPredict or oobError. To estimate quantiles of the response distribution or the quantile error given data, pass a TreeBagger model and the data to quantilePredict or quantileError, respectively. To perform similar operations for out-of-bag observations, use oobQuantilePredict or oobError. A cell array containing the class names for the response variable Y. This property is empty for regression trees. A logical flag specifying whether out-of-bag predictions for training observations should be computed. The default is false. A logical flag specifying whether out-of-bag estimates of variable importance should be computed. The default is false. If this flag is true, then ComputeOOBPrediction is true as well. Square matrix, where Cost(i,j) is the cost of classifying a point into class j if its true class is i (i.e., the rows correspond to the true class and the columns correspond to the predicted class). The order of the rows and columns of Cost corresponds to the order of the classes in ClassNames. The number of rows and columns in Cost is the number of unique classes in the response. Default value returned by predict and oobPredict. The DefaultYfit property controls what predicted value is returned when no prediction is possible. For example, when oobPredict needs to predict for an observation that is in-bag for all trees in the ensemble. For classification, you can set this property to either '' or 'MostPopular'. If you choose 'MostPopular' (the default), the property value becomes the name of the most probably class in the training data. If you choose '', the in-bag observations are excluded from computation of the out-of-bag error and margin. For regression, you can set this property to any numeric scalar. The default value is the mean of the response for the training data. If you set this property to NaN, the in-bag observations are excluded from computation of the out-of-bag error and margin. A numeric array of size 1-by-Nvars of changes in the split criterion summed over splits on each variable, averaged across the entire ensemble of grown trees. Fraction of observations that are randomly selected with replacement for each bootstrap replica. The size of each replica is Nobs×InBagFraction, where Nobs is the number of observations in the training set. The default value is 1. A logical flag specifying whether decision tree leaves with the same parent are merged for splits that do not decrease the total risk. The default value is false. Method used by trees. The possible values are 'classification' for classification ensembles, and 'regression' for regression ensembles. Minimum number of observations per tree leaf. By default, MinLeafSize is 1 for classification and 5 for regression. For decision tree training, the MinParent value is set equal to 2*MinLeafSize. Scalar value equal to the number of decision trees in the ensemble. A numeric array of size 1-by-Nvars, where every element gives a number of splits on this predictor summed over all trees. Number of predictor or feature variables to select at random for each decision split. By default, NumPredictorsToSample is equal to the square root of the total number of variables for classification, and one third of the total number of variables for regression. Logical array of size Nobs-by-NumTrees, where Nobs is the number of observations in the training data and NumTrees is the number of trees in the ensemble. A true value for the (i,j) element indicates that observation i is out-of-bag for tree j. In other words, observation i was not selected for the training data used to grow tree j.
Numeric array of size Nobs-by-1 containing the number of trees used for computing the out-of-bag response for each observation. Nobs is the number of observations in the training data used to create the ensemble. A numeric array of size 1-by-Nvars containing a measure of variable importance for each predictor variable (feature). For any variable, the measure is the difference between the number of raised margins and the number of lowered margins if the values of that variable are permuted across the out-of-bag observations. This measure is computed for every tree, then averaged over the entire ensemble and divided by the standard deviation over the entire ensemble. This property is empty for regression trees. A numeric array of size 1-by-Nvars containing a measure of importance for each predictor variable (feature). For any variable, the measure is the increase in prediction error if the values of that variable are permuted across the out-of-bag observations. This measure is computed for every tree, then averaged over the entire ensemble and divided by the standard deviation over the entire ensemble. A numeric array of size 1-by-Nvars containing a measure of importance for each predictor variable (feature). For any variable, the measure is the decrease in the classification margin if the values of that variable are permuted across the out-of-bag observations. This measure is computed for every tree, then averaged over the entire ensemble and divided by the standard deviation over the entire ensemble. This property is empty for regression trees. A numeric array of size Nobs-by-1, where Nobs is the number of observations in the training data, containing outlier measures for each observation. Numeric vector of prior probabilities for each class. The order of the elements of Prior corresponds to the order of the classes in ClassNames. A numeric matrix of size Nobs-by-Nobs, where Nobs is the number of observations in the training data, containing measures of the proximity between observations. For any two observations, their proximity is defined as the fraction of trees for which these observations land on the same leaf. This is a symmetric matrix with 1s on the diagonal and off-diagonal elements ranging from 0 to 1. The Prune property is true if decision trees are pruned and false if they are not. Pruning decision trees is not recommended for ensembles. The default value is false. A logical flag specifying if data are sampled for each decision tree with replacement. This property is true if TreeBagger samples data with replacement and false otherwise. Default value is true. Cell array of arguments for fitctree or fitrtree. These arguments are used by TreeBagger when growing new trees for the ensemble. A cell array of size NumTrees-by-1 containing the trees in the ensemble. A matrix of size Nvars-by-Nvars with predictive measures of variable association, averaged across the entire ensemble of grown trees. If you grew the ensemble setting 'surrogate' to 'on', this matrix for each tree is filled with predictive measures of association averaged over the surrogate splits. If you grew the ensemble setting 'surrogate' to 'off' (default), SurrogateAssociation is diagonal. A cell array containing the names of the predictor variables (features). TreeBagger takes these names from the optional 'names' parameter. The default names are 'x1', 'x2', etc. Numeric vector of weights of length Nobs, where Nobs is the number of observations (rows) in the training data. TreeBagger uses these weights for growing every decision tree in the ensemble. The default W is ones(Nobs,1). A table or numeric matrix of size Nobs-by-Nvars, where Nobs is the number of observations (rows) and Nvars is the number of variables (columns) in the training data. If you train the ensemble using a table of predictor values, then X is a table. If you train the ensemble using a matrix of predictor values, then X is a matrix. This property contains the predictor (or feature) values. A size Nobs array of response data. Elements of Y correspond to the rows of X. For classification, Y is the set of true class labels. Labels can be any grouping variable, that is, a numeric or logical vector, character matrix, string array, cell array of character vectors, or categorical vector. TreeBagger converts labels to a cell array of character vectors for classification. For regression, Y is a numeric vector. Train an ensemble of bagged classification trees using the entire data set. Specify 50 weak learners. Store which observations are out of bag for each tree. Mdl is a TreeBagger ensemble. Mdl.Trees stores a 50-by-1 cell vector of the trained classification trees (CompactClassificationTree model objects) that compose the ensemble. Plot a graph of the first trained classification tree. By default, TreeBagger grows deep trees. Mdl.OOBIndices stores the out-of-bag indices as a matrix of logical values. 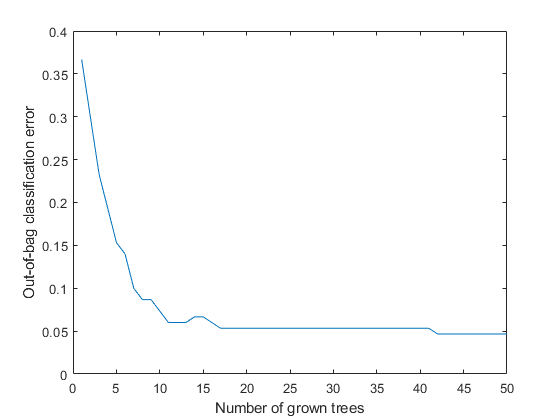 Plot the out-of-bag error over the number of grown classification trees. The out-of-bag error decreases with the number of grown trees. To label out-of-bag observations, pass Mdl to oobPredict. Load the carsmall data set. Consider a model that predicts the fuel economy of a car given its engine displacement. Train an ensemble of bagged regression trees using the entire data set. Specify 100 weak learners. Using a trained bag of regression trees, you can estimate conditional mean responses or perform quantile regression to predict conditional quantiles. 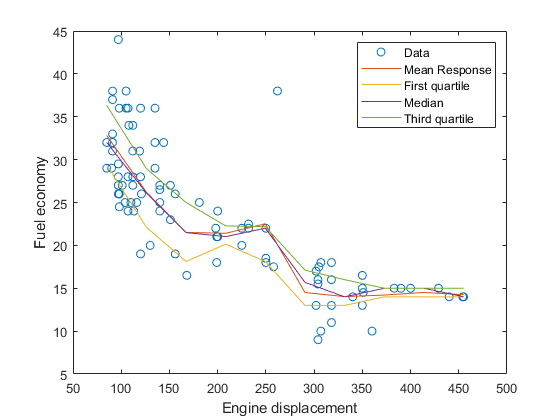 For ten equally-spaced engine displacements between the minimum and maximum in-sample displacement, predict conditional mean responses and conditional quartiles. Plot the observations, and estimated mean responses and quartiles in the same figure. Load the carsmall data set. Consider a model that predicts the mean fuel economy of a car given its acceleration, number of cylinders, engine displacement, horsepower, manufacturer, model year, and weight. Consider Cylinders, Mfg, and Model_Year as categorical variables. Display the number of categories represented in the categorical variables. 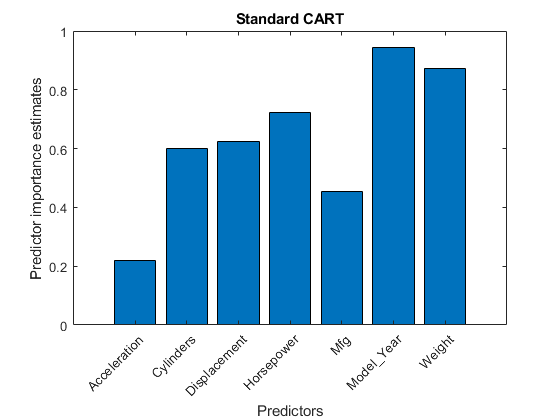 Because there are 3 categories only in Cylinders and Model_Year, the standard CART, predictor-splitting algorithm prefers splitting a continuous predictor over these two variables. Train a random forest of 200 regression trees using the entire data set. To grow unbiased trees, specify usage of the curvature test for splitting predictors. Because there are missing values in the data, specify usage of surrogate splits. Store the out-of-bag information for predictor importance estimation. TreeBagger stores predictor importance estimates in the property OOBPermutedPredictorDeltaError. Compare the estimates using a bar graph. In this case, Model_Year is the most important predictor, followed by Weight. Compare the imp to predictor importance estimates computed from a random forest that grows trees using standard CART. In this case, Weight, a continuous predictor, is the most important. 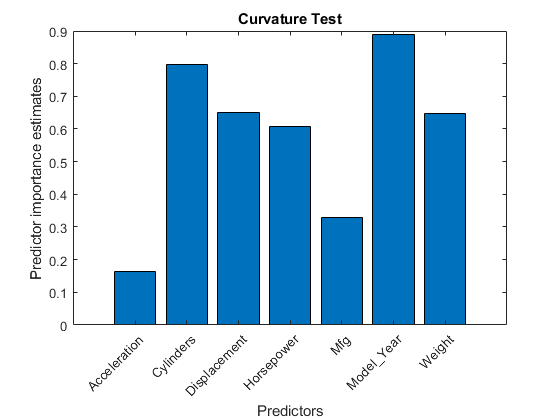 The next two most importance predictor are Model_Year followed closely by Horsepower, which is a continuous predictor. Value. To learn how this affects your use of the class, see Comparing Handle and Value Classes (MATLAB) in the MATLAB® Object-Oriented Programming documentation. For details about the differences between TreeBagger and bagged ensembles (ClassificationBaggedEnsemble and RegressionBaggedEnsemble), see Comparison of TreeBagger and Bagged Ensembles. Breiman, L. Random Forests. 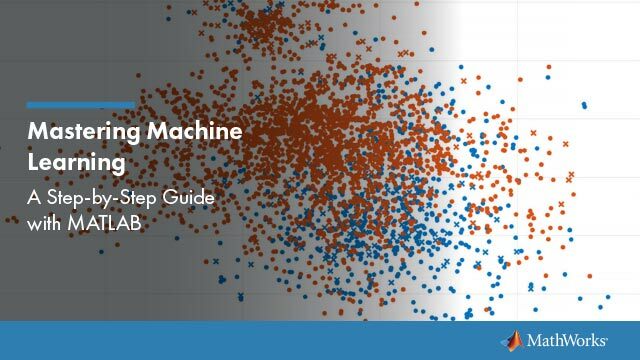 Machine Learning 45, pp. 5–32, 2001. Meinshausen, N. “Quantile Regression Forests.” Journal of Machine Learning Research, Vol. 7, 2006, pp. 983–999.